Alternative to Oil – Will KFC join the race? Barack Obama has already declared that he would break America’s addiction to oil. US Govt. is ready to invest billions of dollars in developing alternative energy. I wish fast food restaurants like KFC also declare a war on oil. 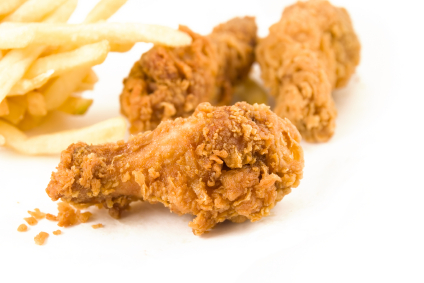 They can try to find an alternative way to cook delicious crispy chicken without oil so that it contains less fat. Of course I can opt out and go for greens. But subway is not my way. I just love that KFC’s Hot and Crispy chicken bucket. Will KFC ever join the race to find an alternative to oil so that the finger lickin’ good, crispy fried chicken also have less than 6 grams of fat!